If you’ve been suffering from a persistent toothache that doesn’t seem to subside, you may be on the verge of losing a tooth. The need for root canal therapy is present when a severely damaged tooth is threatening your oral health. However, with root canal therapy the tooth can be saved and you can avoid extraction. Our dentist in Lansing, MI can help ease your painful symptoms, restore oral function, and most importantly, save your dying tooth. Root canal therapy is a surgical procedure that consists of cleaning out a damaged tooth in order to restore it back to health. When a tooth is severely damaged by a deep cavity, decay, or a traumatic accident, the pulp can be affected beyond repair. The pulp, which is made up of soft connective tissues, blood vessels, and nerves, is the part of the tooth that helps keep it alive and is responsible for sensation. In order to save the tooth, our Lansing dentist will remove all the damaged tissue which is infected and deteriorating. By emptying out the tooth, Dr. Crawford will be able to use the tooth as a natural tooth implant. Not only will visiting a professional for root canal therapy help ease painful symptoms, it’ll also help you regain lost dental function and save you money. While some believe that tooth extraction is the best choice for treating a damaged tooth, root canal therapy is actually the best solution. Investing in root canal therapy can help you avoid expensive restorative options, fill in the missing gaps in your smile, and help you conserve your natural tooth. While these symptoms may be immediately noticeable for some individuals, it’s important to note that not everyone may experience the same symptoms. In fact, an infected tooth is able to progress without showing any noticeable symptoms. That’s why Dr. Crawford encourages individuals to seek professional dental treatment and visit the dentist for routine visits. In doing so, you can avoid more serious damage to your smile. Prevention always starts at home. By practicing good dental hygiene habits on a daily basis, you’ll be able to keep your teeth clean and contribute to the prevention of cavities, infections, and diseases. Additionally, visiting your dentist for biannual dental checkups can aid in the prevention of severe infections. In doing so, you’ll be able to ensure that your teeth remain healthy throughout the year. Your dentist will also be able to catch diseases early before they progress and cause more serious damage to your smile. 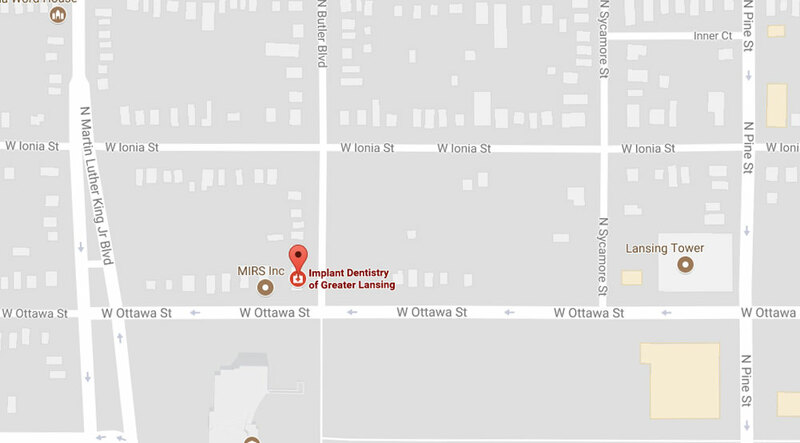 If it’s been a long time since you’ve set foot inside a dental office, visit our Lansing, MI dentist. Dr. Crawford and staff will go above and beyond to ensure that you get exceptional high quality care you can be confident about. Whether you have symptoms of a dying tooth or simply need a cleaning, contact us today. We’re here to help you get your dental health back on track!